Not paying attention to class XI syllabus: If you've just started preparing for exams and medical acceptance, it's a good time for you to start building the foundation for your preparation with the eleventh-grade curriculum. Why? Because a good foundation to help give the concepts and clarity of your own, which is an integral part of your preparation. Not taking enough tests: Although everyone has a right to solve NEET UG Sample paper in Pune, students avoid taking mock tests of pure laziness. Mock tests will help you understand the importance of time management, this type of questions, and areas of weakness you have and also help boost your self-confidence. 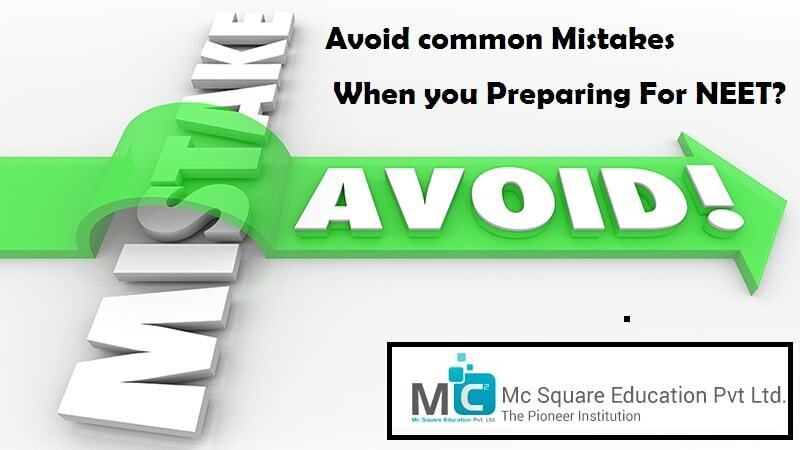 Avoiding difficult questions: Just because you avoid the tough questions while preparing, does not mean they will not be part of the exam. Should not avoid difficult questions, In fact, so should work on perfecting them. Disturbing your sleeping pattern: It's okay to study all night or waking up early in the morning to study when you are preparing. But you should try to get to sleep pattern your back to normal a few days before the exam. After a night without sleep just before your exam could impede your focus during the exam. This is definitely one of the most common errors made by the students. Discussing the syllabus just before the paper: Discuss issues with your friends before the paper will shake your confidence, confuse you and you will end up panicking. Avoid doing this, and they do not have confidence in your preparation. Skipping long questions: During your preparation, and avoid being lazy and resolve long questions. You might think you know everything, but you can never be sure as well. There are thousands of people prepare for the exam itself and the need to make sure that your preparation is as good as them if not better. Doubting yourself and your preparation: You must have confidence in what you have studied and what you know. If you've worked so hard it has been devoted, and you certainly achieve success. Questioning yourself is never a good idea because it only affects your confidence.